« Regime change [part 2]–a timely visit. I finally got round to looking at August’s newsletter of GI News–a useful and lively healthy eating outlet from the University of Sydney and based around the principles of the Glycaemic Index and Glycaemic Load. 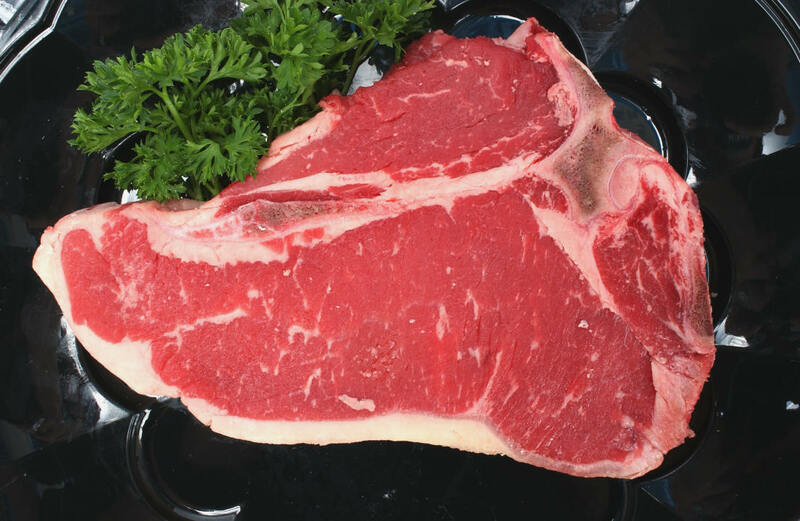 There’s a short piece by dietician Nicole Senior in which she discusses the pros and cons of eating red meat from the perspectives of health and the environment. It’s far from bad news for red meat fanciers. A model healthy diet according to Australia’s National Health & Medical Research Council, contains 65g a day of red meat (455g/1lb per week) and the American Institute of Cancer Research: World Cancer Research Fund says to limit red meat to no more than 500g (1lb 2oz a week) to reduce the risk of cancer. To reduce greenhouse gas emissions, Professor Tony McMichael and colleagues from the Australian National University have suggested we limit red meat to no more than 90g (3oz) a day (630g/1lb 5oz a week), based on the idea people in developed countries currently eat more than double this. Restricting red meat to a quarter of the Plate, she says, will help as a guide to achieving this. I then took another peek at Michael Pollen’s excellent and amusing Food Rules (Penguin) in which he says that when buying meat, it’s worth looking for animals that have been fed in pastures. Monsieur Fraisse, our butcher in Lautrec, knows where each animal he butchers has been raised and what they’ve been fed on. A luxury I know and not so easy when shopping in supermarkets. Worth asking though?–if there’s a working butcher’s counter at the supermarket? I’d be interested to hear any feed back–(so to speak!). The food from these animals will contain much healthier types of fat as well as higher levels of vitamins and antioxidents. You will pay more but if you are buying and consuming less–the cost won’t be much higher. The meat will taste better too! Eat food. Not too much. Mainly plants. You could also check out the piece by Professor Jennie Brand-Miller–GI expert–on the protein values to be got from plants, in the same August newsletter. Thanks for that Susan– very helpful. Enjoying your book no end – my type-two visitors were most impressed, so a big thank you. That is useful to know, Sophie-Jane, Thank you. I like that Market too and a small restaurant called Mario’s (I think)–only open for lunch. p.s. I and hubby are on holidays in mountain (parents house) tasting good local recipes. Here in Montepiano (province of Prato-Tuscany-) one of the best dishes are “tortelli di patate” with ragù. Very good, but little plesant. Good to know, Beatrice, that it’s still open–we will go next time we’re in Florence. Tortelli di patate sounds a bit like gnocci and must be delicious with ragu. Not so good for people with diabetes, though. So…got any good tofu recipes? No experience of cooking tofu, Debra. Living in the country makes a difference–you’re right. Sometimes I am surprised as cheap meat from the supermarket is compared to other food. At least in Germany it is so because here the competition between the supermarket chains is very hard. Meat has become a mass product and the quality suffers. Cheap prices support factory farming. Meat has no time to ripe. I think many farmers feed too much silage and concentrate. This all has effects on the quality of meat and milk. Thanks Martina–very interesting comment. I am going to collect the comments on this post and post them, if no-one objects. Robin that’s a very good idea, the comparisons with different area’s will be interesting to see. – Best wishes Elaine. Hi Robin, better late than never. Argentinian beef is a good bet too, because the animals are ‘free range’ in that they walk to their water, eat grass and don’t get pumped up with undesirable chemicals and additives. It is natural meat (which I have eaten with a spoon, it was that tender! ), which is mainy why Argentinians don’t have a cholesterol problem.